It is clear from Paul’s letter to the Ephesians that God wants the divine light to bounce off us, instead of bend around us. Paul says that “God, who is rich in mercy, out of the great love with which he loved us even when we were dead through our trespasses, made us alive together with Christ." So we are “clothed” with Christ, writes Paul, and we “put on” the Lord Jesus Christ — this is what it means to be a properly dressed disciple of Christ. Jesus becomes for us a Visibility Cloak, one that reflects the light of God and makes us visible to the world. For our purpose, reflecting light and being visible is good. It’s all about putting on Jesus. All we have to do is wrap ourselves up in Him. God’s not interested in hiding us, and he certainly doesn’t want his light to bend around us. Instead, he clothes us with Christ so that we will be visible signs of his presence in the world. By grace, God moves us from darkness to light, from invisibility to visibility, from an undercover existence to an elevated seat in the heavenly places. He takes pleasure in showing us off, as signs of how loving and powerful and creative he is. Operation Fiat at the Chaminade-Mineola Community this evening. As the first disciple of Christ, Mary can teach us what it means to pick up our daily cross and follow her Son. In her many moments of sorrow, we can imagine the pondering, confusion, pain, and hurt that Mary experienced during the final hours of Christ, yet we always find her contemplating their deeper meaning and purpose with God. In every moment of suffering and pain, Mary is drawn deeper into relationship with God through Jesus Christ and is strengthened in Christ's own faith, hope, and love through the gift of the Holy Spirit. In response, Mary takes the step of saying “yes” to God’s will, trusting that God cares for her, has a plan for good in her life and for her people, and that He intends good even if she encounters suffering and hardship along the way. Listening – pondering like Mary – to what the Spirit of God is telling us deep within our hearts, we can begin to understand the very next step that God wants us to take. We may not understand how that one step fits into the whole plan, but we trust that God wants good for us and that he loves and supports us in our vocations. This evening young men will gather for our Operation Fiat in the Chaminade-Mineola Community. Together we may experience the beginning of their call to serve Him and His people in that love. God’s love saved us in a moment of gratuitous love. Out of that love, we can now offer that gratuitous love to others with a “yes” reminiscent of Mary’s own fiat to her call to bring Christ - to bring love - into the world. EASTER JOY: Do you love me? After the Resurrection and just before Jesus left this earth, He instructed Peter to care for the object of His love—His sheep. How could anyone care for them as Jesus cares? Only out of love for Him. There is no other way. Was Jesus unaware of Peter’s love? No! His threefold question was not for Himself, but for Peter. He asked His questions to underscore the essential truth that only love for Christ would sustain Peter in the work that lay ahead—that arduous, demanding work of caring for people’s souls—perhaps the hardest work of all. Jesus did not ask Peter if he loved His sheep, but if he loved Him. 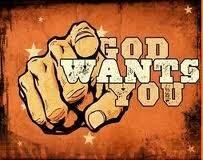 Affection for God’s people in itself will not sustain us. His sheep can be unresponsive, unappreciative, and critical of our efforts to love and to serve them. In the end, we will find ourselves defeated and discouraged. Here is an example of virtue. Take a look at this video of Olympian Derek Redmond at the 1992 Summer Olympics in Barcelona. He had spent countless hours training and toiling to the point of exhaustion in order to win that gold medal, only to suffer an excruciatingly painful hamstring tear. One cannot help but be moved, not only by his tragic fall, but even more so by his heroic determination to finish the race, and by his dad coming out of the stands to literally carry his son across the finish line. The sight of this man hobbling along, sobbing on his father's shoulder in pain and disappointment while his father supports him and encourages him to continue serves as a powerful image for all of us - especially the sons and fathers among us. No matter how trying, difficult, painful or long our trek in the valley of tears may be, Our Father is carrying us on his shoulder, giving us the graces to fight the good fight, to finish the race, to keep the faith. The early Fathers and medieval theologians saw the Old Testament events as not only predicting Jesus, but also prefiguring many aspects of his life. On October 19, 1984, officers of the Polish Security Service of the Ministry of Internal Affairs pulled over the car of a thirty-seven year old priest. They bundled him into their unmarked car and drove near Wloclawek. They then savagely beat the priest until he was unconscious and drowned him in the river. The murdered priest was Jerzy Popiełuszko. He had been born into a farming family in the harsh conditions of post-war Poland. He was ordained to the priesthood in 1972 and began to work with children and youth. Fr. Popiełuszko started to support the strikers of the independent Polish trade union Solidarity. He said Masses at the picket lines, heard confessions and organised 'workers schools' for the strikers. When martial law was declared in 1981, Popiełuszko helped those persecuted by the regime, providing food and sanctuary when he could. The communists tried to intimidate this priest: break-ins, shadowing, damage of private goods, bombs, a false trial, numerous arrests, and finally car accidents but he refused to be silenced because he believed that he had a duty as a Christian and as a priest to proclaim the truth. The only way they could silence him was to take his life. His funeral attracted thousands of mourners who were convinced that they were “witnesses of the sacrifice of a priest who gave his life for the truth.” Communism would cling on in Poland for another five years but the witness and example of Jerzy Popiełuszko would inspire many to rise up against the regime. So this morning before daily mass at our high school, I was asked if I can write a reflection once a week. I am not going to lie to you, I thought to myself, “What in the world can I write about?” I mean it seems right now the biggest thing for me is to live in preparation for my future endeavors with this vocation, and to deal with the struggle with girls that keep lingering for some reason. That seems to be the case for most high school guys who have a vocation, right? Well, as I helped prepare what was needed for this morning’s Mass, I was thinking about what I should write about next. Making small talk with our celebrant, Fr. Tom, as well as Brother Michael and a few other students, I opened up one of the cabinets to grab a chalice to be used during Mass. Among the many beautiful chalices we have in that sacristy, my favorite by far has to be the very simple chalice that is made from olive wood. It’s interesting how something so important- a chalice, used to hold the Precious Blood – can be so simple. I don’t know why, but the simple shape and material it’s made from appeals to me. It makes me focus on humility whenever I receive the Precious Blood from that particular chalice. Now my mind went spinning for some reason trying to figure out a topic to write about (I only had about a day to write this reflection). Out of nowhere I began to think about how wood is such a simple object, but so important, especially in my life. For example, even though I am a terrible surfer, I realized that the first surfboards people ever used were made out of wood. And apparently, this “lax bro” epidemic that I am trying to stay out of made me think… and guess what! The first lacrosse sticks ever used…wooden lax sticks! My house, well the foundation is made out of wood. Who knew how important wood could be? Now you are wondering where in God’s name am I going with this reflection. Well here it is. Jesus Christ was born in a cheap wooden manger, probably very simple and small. Nothing too fancy, a true sign of humility. As the years went on and the Big Guy hit puberty, guess what He and Joseph were doing with their lives? Carpentry! Years go by and guess what Jesus goes and does for us? Allows himself to be brutally scorned, whipped, beaten, and nailed to wood in the shape of a cross to save the world from sin. Pretty incredible to think about in my opinion. A little over 2,000 years later and Jesus is still calling us. Do you have the tools to work with wood? Pray about it, you’ll figure it out then. We are in the middle of the Blue and Gold season. Every afternoon hundreds of young ladies gather together to prepare an evening of storytelling, tumbling, hip-hop, and more. The one night performance will be an evening of energy and excitement. Everyone has their place of honor in the sunlight. It's the dream team.Now, nothing made the Pharisees happier than having the place of honor at banquets, the best seats in the synagogues and respectful greetings of people in the marketplace. They sat on the seat of the great prophet Moses dressed as wise teachers of the law, with broad phylacteries and long fringes — the religious bling of first-century Judaism. They stroked their beards and beamed with pride when people called them “rabbi." They were the height of arrogance. Flying high. Just not with it. And Jesus wanted to bring them down. “Do whatever they teach you,” he says, “but do not do as they do, for they do not practice what they teach." The scribes and Pharisees are hypocrites — people who talk the talk, but don’t walk the walk. As exceptional men, they believe it was their duty to offer the gift of moral clarity to others. But as for practicing a little charity? Someone else’s problem! Clarity, without charity, equals hypocrisy. 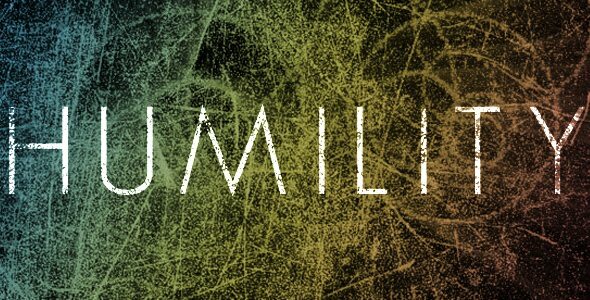 In place of arrogance, Jesus recommends humility. And then Jesus surprises everyone by making a statement that turns everything upside down, sending the arrogant down to the basement and the humble up to the penthouse suite. “The greatest among you will be your servant,” he predicts. “All who exalt themselves will be humbled, and all who humble themselves will be exalted." We learn this so well when we work with people. The Blue and Gold participants learn this day in and day out. Little steps add up. Serving others produces great results. Those who humble themselves will be exalted, says Jesus. That’s the height of humility. In the end, we don’t get anywhere by exalting ourselves. We learn that the only real lift comes from exploring humility. Call it the height of humility. Call it God's dream team. See you at Blue and Gold! Our Province has a tradition of taking long walks on Easter Sunday after the celebration of Mass and dinner. This Easter was no exception. Easter was spent doing what the Disciples did to get to know Jesus: talking, walking, sharing and knowing. 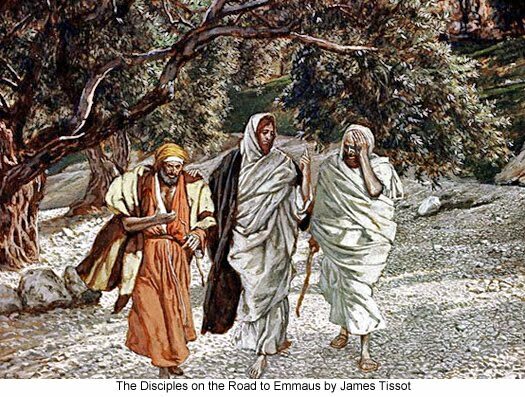 Duplicating what the disciples did on the road to Emmaus is what our Community life is all about. The Province of Meribah gathered together for Morning Prayer and Mass at Founder's Hollow. Our meal was prepared by Bro. Thomas with the assistance of many other Brothers. We finished the day with Evening Prayer and dessert. Some of the Brothers were even able to get in a typical Easter Sunday walk. The original of this artwork is in the chapel at the Marianist General Administration in Rome. The icon of the “Wedding at Cana” brings into focus several key figures: Christ, the Mother of God, the servants, the amphorae (jars) and the table prepared for the feast. Some other characters and images, usually present in similar icons, do not appear: the newly married couple, the chief servant, other servants busily moving about, flower garlands, the abundant food of the feast, the musicians. Space and time are compressed. These are transformed so as to open us up to the symbol and metaphor of the new times. The servant fixes his astonished gaze on Christ and comes to a new enlightenment that, through faithful obedience, is able to welcome the eruption of Divine Power within human reality. He sees the liquid pour down into the amphora as water, but he knows that amidst the gurgling inside, it has turned into wine, because he senses the bouquet. The amphorae are huge because humanity’s thirst is great and there must be enough wine for everyone. 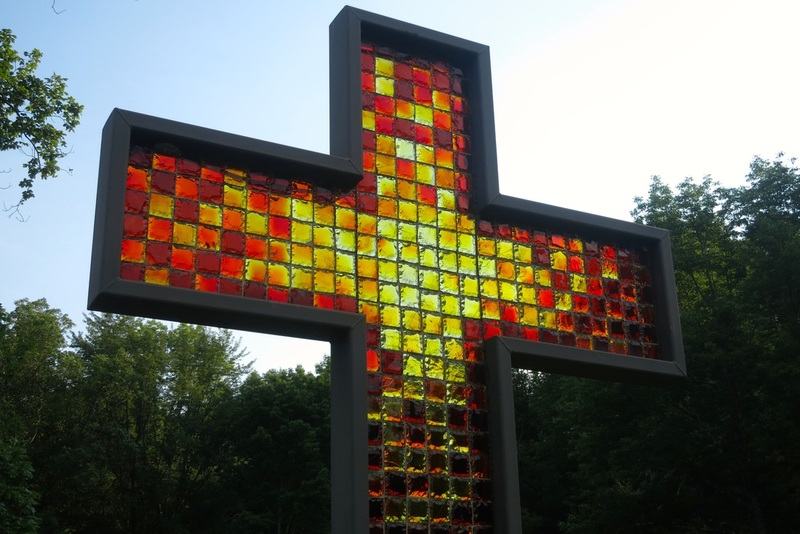 EASTER SUNDAY - Do you look Redeemed? Do you look redeemed? Do you look joyful? Are you a witness to the Resurrection of Jesus Christ? Christ yesterday and today, the beginning and the end, Alpha and Omega, all time belongs to Him, and all the ages, to Him be glory and power, through every age for ever. Amen. As Christians and consecrated men, in every action and in every moment of our lives, we are called to say to ourselves: "I believe in the Resurrection that will save and restore all things to Himself." Yes! Lord! I do believe! I believe when we celebrate the Eucharist each morning. I believe when I listen to the Word. I believe when we gather for meals together. I believe when we go out each day to love & serve the Lord! May we be worthy of our Baptism & the Profession of Vows we have all made. be an act of our belief in the Resurrection! "Whenever I feel that the things of the world are too much for me, I take refuge at the foot of the Cross. Even if the whole world is shrouded in darkness, if the curtains of all my temples are rent, if I cannot see, nor hear, nor understand, I know that I am safe at the feet of my crucified Saviour." He puts on his robe and returns to the table. The celebration of the Seder Meal is from the 1st grade of St. Martin DePorres Marianist School. Mr. and Mrs. Haller, Bro. James Conway and Fr. Thomas Cardone were responsible for the celebration this week. Judas forgot just one thing, and that one thing was the difference between life and death. Judas forgot that he was only one in a long, line of failed faithful. So many in Scripture committed grievous acts of betrayal against God. But each one found their way back to God's side through the back door of grace. And then Judas died, marked as a betrayer. Why? Because he forgot to try the door. Judas did not want a gift of grace. The message of today is that God's grace is available to us all, that the back door to God is always open. Feed my lambs. Tend my sheep. Feed my sheep. Now just what is Jesus getting at in this dialogue with Simon Peter? On one level, he is giving Peter the opportunity to cancel out on his three cowardly denials. While Peter had insisted three times that he was not a disciple of Jesus, now he affirms three times that he loves his Lord. What's going on? Three denials, three affirmations. Everything is now wiped clean. He goes from a cowardly lion to a loyal disciple. But there is even something more significant happening here, and it has to do with the work of tending Christ’s sheep. Jesus is mapping out a sort of job description for disciple wannabes. If you love Jesus, you can't sit at the seashore and watch things happen. No! If you love Jesus you have to get yourself dressed, roll up your sleeves, and get into the work of discipleship if you want to tend and feed the flock of God. Ya gotta do it! Ya can't just think about it! and delights the eye only for a few brief hours. so let us spread ourselves like coats under his feet. we are strewn in the Lord's path. If you've already tried during Palm Sunday liturgy to make a cross and failed, here’s the answer. It shows you, in one minute, how to turn a palm leaf into a cross. Amen, amen, I say to you, unless a grain of wheat falls to the ground and dies, it remains just a grain of wheat; but if it dies, it produces much fruit. The students in both of our Marianist high schools study as part of their religion course the life of Saint Thomas More. In “A Man for All Seasons” Robert Bolt has St. Thomas More affirming the fact that our natural instincts in cases of mortal danger lead to “flight.” The saintly lawyer then goes over how he planned to use all of his skills as a barrister to avoid having his head separated from his body over the “King’s business.” But he concedes that a time comes when all the legal dodging and weaving can’t keep a person from standing firm in his or her faith, even if it means death, when no means of escape are available. Why do we abstain from eating meat on Fridays during Lent? Picture it: You’re in a hurry. You’re focused on school or work or family or friends, where there are a thousand things going on. You stop “real quick” to eat in the middle of the day. Halfway through the meal – or a little while after – you remember it’s Friday. And it’s Lent! And that’s a burger in your stomach!! This has happened to me before, and odds are that it has happened at one time or another, to you. A side note here to anyone who may be worrying or feeling guilty right now: If you forget, then no, it is not a sin. So why exactly do Catholics abstain from eating meat on Fridays during Lent? Actually, people offer several reasons for why the church embraces this discipline, a tradition that dates back hundreds of years. Some say it was because the church was trying to support the fishing industry when times were tough. The church was trying to keep fishermen “afloat” (yes, pun intended). There is some historical evidence of that, dating all the way back to the second century. Some say it was safer to eat fish than meat. Everyone knew the specific time frame in which it was safe to eat fish, while people tended to test that time frame with beef. There’s some historical evidence to that too, dating back to about the seventh century. Some point out that hundreds of years ago only the very wealthy could afford meat. Fish (in comparison) was the poor man’s meal. It was cheap, humble food that you had to catch yourself. Some say that not eating meat helped folks to focus on the humility of Christ, who lived a simple man’s life. There are literally dozens of other examples for this disciplines evolution over the years and the Church’s maintenance of it. They are good to know, but they didn’t help me a lot when I was teenager. I just knew that I wanted meat. If we aren’t focusing on Jesus and on the cross when we abstain from the meat, then the matter can become less about Lent and more about “should I have the meatless pizza or the grilled cheese sandwich?” We all know that it’s so much more than that. 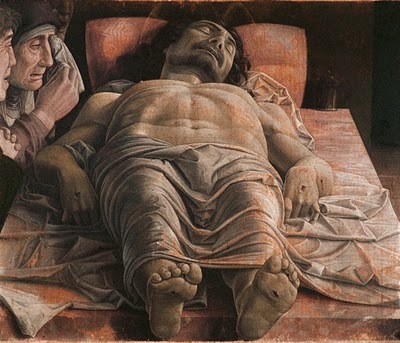 I prefer to look at it like this: Jesus Christ, my Lord and my Savior, gave up His own body, His own flesh, that Friday so many years ago, for me and for you. He went through the pain of that self-sacrifice, completely mindful of God the Father. When I go through the incredibly minor act of abstaining from meat on Fridays, it is just one tiny act of self-sacrifice that points me back to that awful but Good Friday. That was the Friday when God loved me so much that He gave up His flesh in the most selfless act in history. “Since therefore Christ suffered in the flesh, arm yourselves with the same thought, for whoever has suffered in the flesh has ceased from sin…” (1 Peter 4:1)You see? Abstinence from meat is more than just “going without” during Lent or just a reminder that Christ offered His flesh for us on the cross. 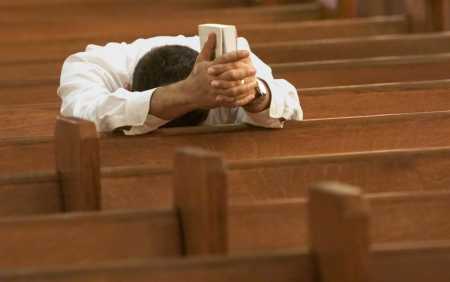 Abstinence is a form of prayer, a discipline. When we abstain from meat, we focus on Christ and on our souls, rather than on self and on our bodies. It is faith in action, placing our attention on Jesus and offering Him “our flesh” as a sacrifice (Romans 12:1-2), a vessel through which He can and does work. They say absence makes the heart grow fonder. I guess you could say that abstinence makes the body (and soul) grow holier…if we embrace it and allow it. Meat is great, but Jesus seemed to do pretty well with just bread and fish, and so did everyone else who received the feast that day (Mt 15:34-37). Remember, God made vegetables, too. • Do you want to go to the gym this afternoon? • Do you have any more food credits left in your account? • Do you know the band performing at the spring festival? • How did the fundraiser for your mission trip turn out? • Did you start that term paper due in 48 hours? • Did you land an internship this summer that could lead to a full-time offer after you graduate? It seems to me that so many questions are fired off at us on a given day that we don’t realize if we have even heard them all. At times, the day — or perhaps the whole semester — seems to just fly by without us having noticed much of it. Well, have you noticed that we are already at the Fifth Sunday of Lent? We are just about to celebrate Holy Week and Easter, and I know that I am still asking myself, have I noticed God’s activity in my life in a more particular way this Lent? Have I responded to the call of Ash Wednesday to “turn away from sin and be faithful to the Gospel”? Perhaps the most important questions that we fail to notice each day come to us from Jesus Himself. Sometimes His questions come to us through a conversation with a close friend or relative. At other times, they come to us in quiet moments of meditation and prayer. Since we began our Novitiate journey last July, Bro. Peter Francis, Bro. Andrew, and I have spent some more time focusing on growing in our relationships with Christ and his Mother. Although God makes his presence known to us in so many different ways, I have found that Jesus speaks to us most directly through the Scriptures. Hearing the Gospel proclaimed each day at Mass has helped me notice Jesus’ presence a little more and hear the questions that he asks of me as I hope to follow him more closely. When I was away at college only two years ago, it was always difficult for me to balance the demands of college life with my desire to spend Holy Week prayerfully in anticipation of Easter. I tried to carve out more time for prayer, but “praying in anticipation of Easter” sounds a lot better in theory than it is easy to actually practice in college. If you have been meaning to take some more time for prayer or have been hoping to notice God’s presence in your life a little bit more profoundly during Holy Week, as I was, might I suggest that you use the Magnificat to help you notice the questions the Lord is asking each of us as we meditate on Jesus’ sorrows and triumphs from Palm Sunday to the Easter Vigil? I have selected one question from the Scripture readings used during the liturgy each day of Holy Week and offer them to you for your personal meditation and prayer during that busy, yet remarkable, week. One of my hobbies in college was napping. After an early-morning rowing practice and two or three classes, I was ready for a quick (or sometimes not-so-quick) nap around 3 o’clock in the afternoon, and I usually felt great after it. After all, I had earned some time to relax. Jesus famously asks Peter, James, and John this question in the Garden of Gethsemane while He is suffering the mental anguish of knowing that He is about to endure His horrific Passion. After a nice Passover meal with some wine, the disciples probably felt drowsy, and perhaps they had the feeling that they had earned a quick power-nap while Jesus was off in prayer. Jesus’ question to them cuts right at the main idea behind their feeling that they had earned anything. He reminds them that following Him is not easy, and it is certainly never something that we can take for granted or put into auto-pilot. Going through the motions of prayer and discipleship won’t cut it, because we have not earned anything on our own. We have to stay alert to notice God’s active presence in our lives. Do I think Jesus is condemning napping? I sure hope not! In Gethsemane, Jesus reminds his closest friends that the way of the Cross—the way of Christian discipleship—is not an easy task, but rather it is a way of living that asks us to stay alert to the ways God invites us to serve one another in love. 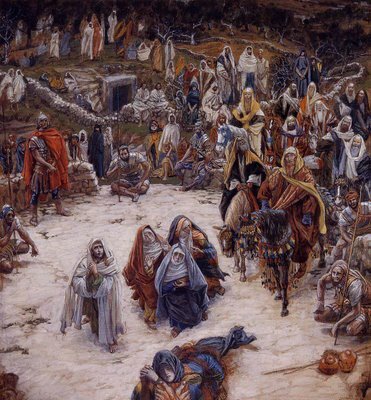 Holy Monday — "Why was this oil not sold for three-hundred days' wages and given to the poor?" The median household income in Nassau County over 300 days is $77,010.41. Imagine what you could buy with that much money. Now imagine how annoyed you would be if someone in your family purchased a shower gel or cologne for that price. You would be pretty ticked off, right? Judas probably felt the same way as you or I would feel in that situation, especially because he could have benefited from that money if the woman had just donated the value of the perfumed oil to Jesus and His followers. St. John tells us that Judas was a greedy man, but I think another common temptation might have prompted Judas’ snide remark as well. There are so many situations in life in which we think we have all the answers. We might say, “I don’t need any help,” or “I can handle this problem on my own.” In fact, those might be the mantras of American men. There is a temptation, and perhaps even an expectation in our culture, that in order to be a truly successful man, you have to have it all together and always be ready to respond to any situation. Judas might have felt that too. After all, he did spend three years with Jesus; it is reasonable to think that Jesus would have wanted to give that money to the poor, so perhaps Judas made that comment thinking he had the right answer, the right thing Jesus would want him to say. We have to avoid the tendency to think that we know it all or that we can do it on our own. If anything else, this week teaches us that Jesus did it all for us. We just have to follow Him and let Him work through us. Holy Tuesday — "Master, why can I not follow you now? Too often, our idealized sense of self lures us into thinking that we can do whatever we want, whenever we want. “I’m young and like to do new and adventurous things, so why not?,” we might insist. One four-letter word comes to mind: YOLO. We all want to live life to the fullest, and countless people tell us to follow our dreams and to do whatever will make us happy. There might be some wisdom in that sentiment, but sometimes we are just not ready to do certain things that we want to do. St. Peter might have suffered from some youthful and idealistic delusions when he asked Jesus this question. He really had no idea where he would be going if he followed Jesus. Christ slaps him with a heavy dose of reality when He tells Peter that, instead of following Him now, Peter would deny even knowing Jesus three times. The ironic part of this passage is that in the end, we know that Peter does follow in Jesus’ footsteps and is martyred on a cross. Peter always had a strong desire to follow Jesus, but at the time of Our Lord’s Passion, he was not yet ready to embrace the way of the Cross. Peter needed to experience the mercy and forgiveness that Jesus offered him after his denial in order to strengthen him to lead the early Church and to give him the courage to ultimately lay down his own life in imitation of the Master. He learned from his youthful mistakes, and then he was ready to give true witness to his faith. Spy Wednesday — "Surely it is not I, Lord?" Too often, we try to throw the blame for something that went wrong onto another person. “I was late to class because my roommate took too long in the shower.” “Sorry, Mom, I only used the emergency credit card because my friend and I needed to Uber home once it started raining.” We are never the bad guy . . . bad things just happen to us. Granted, none of us are bad people, but sometimes we do have to own up to the mistakes we make and the sins we commit. We need to stop lying to ourselves — “Surely it is not I who have to change my ways” — in order to start saying, “I’m sorry — I will work on that and do better next time.” The Lord does not ask us for perfection; He asks us for a sincere attempt at bettering ourselves in order to give more freely to God and to others. Do you realize what I have done for you? You call me “teacher” and “master,” and rightly so, for indeed I am. If I, therefore, the master and teacher, have washed your feet, you ought to wash one another's feet. I have given you a model to follow, so that as I have done for you, you should also do. The Washing of the Feet should stupefy us. Our God, who is so much greater than our minds can even imagine, reveals His love for us by cleaning the dirt from between our toes. He shows us that the messiness of our lives and the darkness of our sin only endear us to Him even more—after all, he did wash Judas’ feet too. In order to prove our love for Him, He does not ask that we grovel at His feet, but rather He commands us to serve one another. It is not a coincidence that Jesus instituted the Eucharist at the same meal during which He washed the disciples’ feet. If we believe in the Eucharist, then that faith becomes incarnate when our love reaches out to others. Only then will we truly realize all that He has done for us. Perhaps this is the only question that really matters in life. People our age try so desperately to figure out who they are and who they are supposed to be, and the challenge of that self-discovery causes many of us to give up hope. We turn to drugs and alcohol, abusive relationships and casual hookups as a way to cauterize the pain that accompanies the struggle to understand our lives. Perhaps it is barely any wonder that suicide is the second leading cause of death for people ages 15-24, and that, in the last two years alone, seven Chaminade graduates have died from drug overdoses. Ours is a dark world, but in the midst of all this darkness, Jesus asks us, “Whom are you looking for?” We are looking for a Person to give our lives meaning, not a degree or a career. Pope St. John Paul II keenly understood our quest to find our place in the world when he said in 2000, “It is Jesus that you seek when you dream of happiness; He is waiting for you when nothing else you find satisfies you.” Our lives only find their meaning and purpose in Jesus, who desires nothing else but to show us the way to happiness with Him. The women probably had an “If only . . .” moment on their way to the tomb. The stone was impossible for them to move, but think how God completely surpassed even the furthest limits of their imaginations about how they could solve their problem. Not only did Jesus move the stone; He walked out of the tomb! It would have been one thing if they found the stone pushed over just a crack so that they could crawl through one at a time in order to anoint Jesus’ body, but that was not good enough for God. He completely destroyed the obstacle and came out to them. The message of Easter is that nothing can separate us from God . . . if we just ask Him to move the stone. If prayer is simply a conversation with God, then it seems natural that God would ask questions of us. We ask Him so many favors and questions every day, maybe it is about time that we start to listen to the things He asks us. I was surprised that there were so many questions in the Gospels during Holy Week, so it was a very prayerful experience to share these reflections with you. Perhaps you can use them as a jumping-off point each day as we dive further into the Lord’s Paschal Mystery. And while you’re at it, just remember to pray for me and for my Brothers! May the Lord bless you abundantly with new life this Easter!